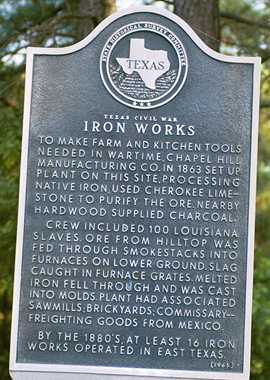 Iron Works Historical Marker, Texas Civil War. "By the 1880s at least 16 iron works operated in East Texas." photos of Iron Works in Texas, please contact us.